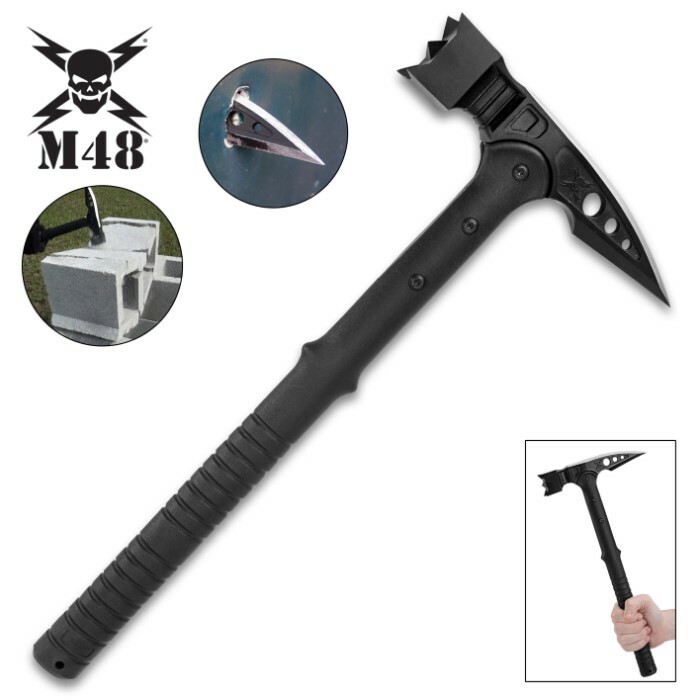 United M48 Tactical War Hammer With TPR Cover | BUDK.com - Knives & Swords At The Lowest Prices! 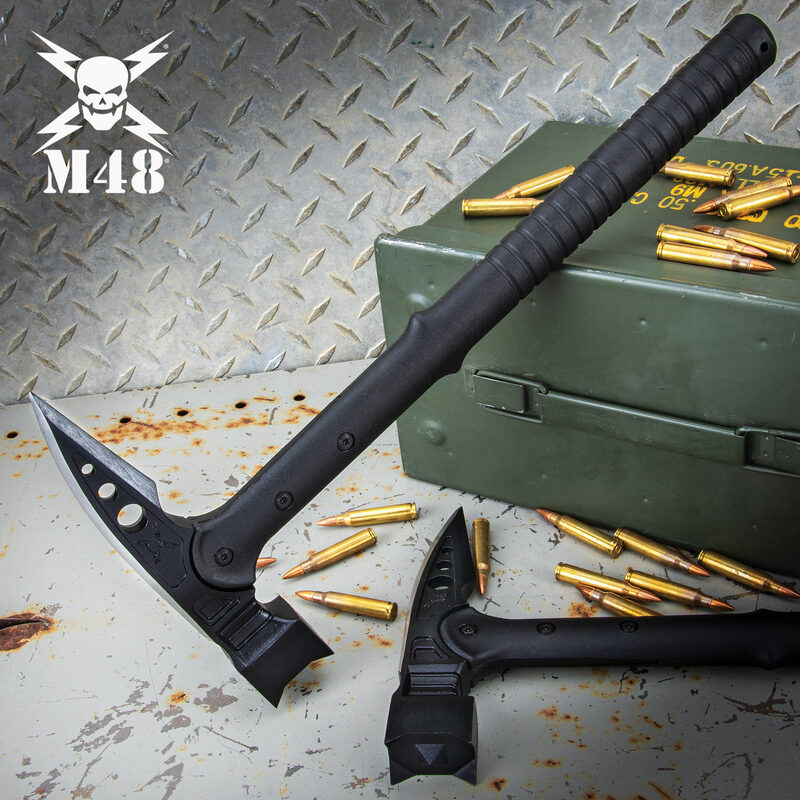 The M48 Tactical War Hammer from United Cutlery is the hammer/axe combination! The cast 2Cr13 stainless steel black oxide-coated head can pummel almost anything with ease. 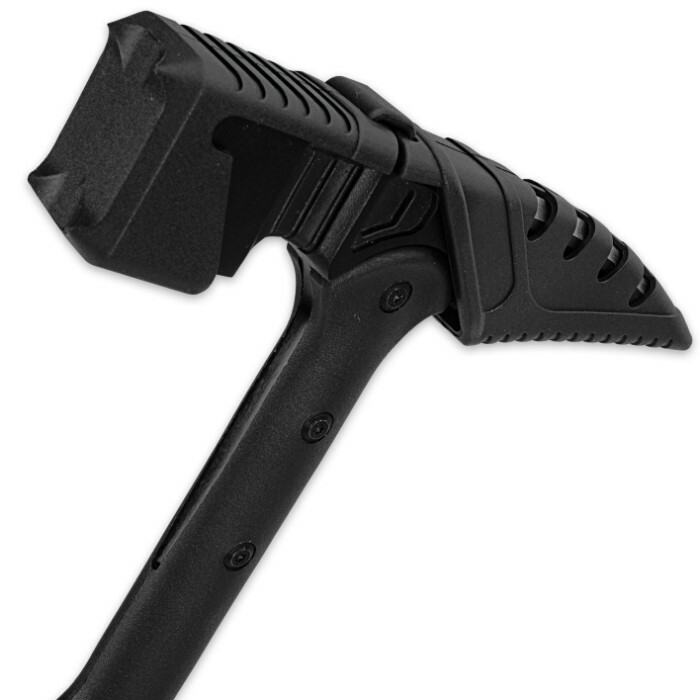 The handle features a defensive war hammerhead and a devestating piercing spike, which offers great applications as an effective breaching tool and defensive hammer. 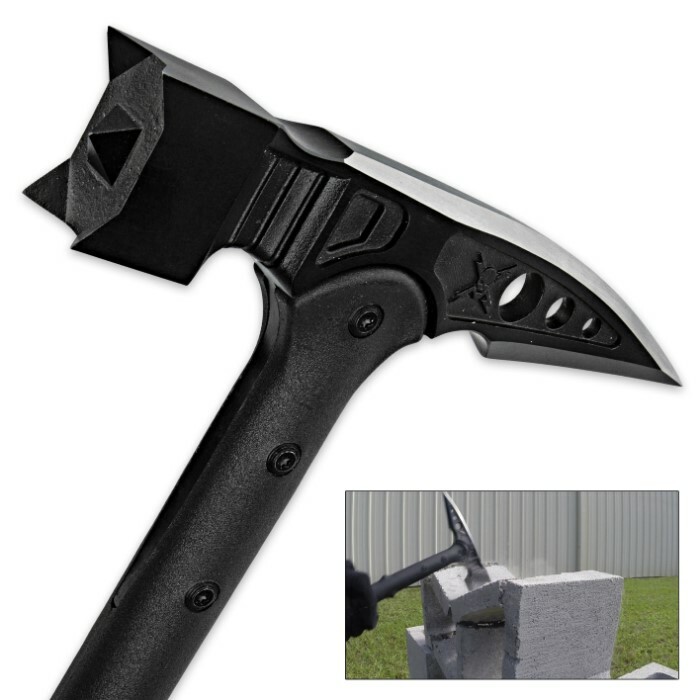 The fiberglass and reinforced nylon handle is nearly indestructible, and the axe head is attached to it with metal bolts. Includes a TPR hammerhead cover.